Casper is approximately 2 yrs old (s of Feb 2012). He is very timid and stills need more socialization. He's not a biter, just frightened. Volunteers can pet him, so we know that he will make a nice companion for the right person. 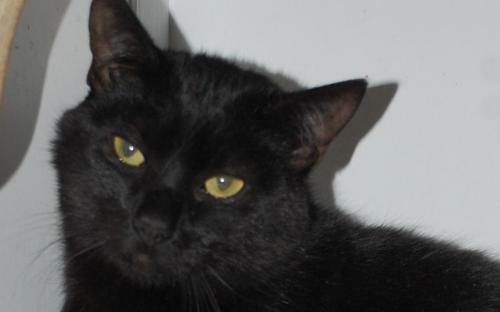 Casper has a beautiful black, glossy coat. 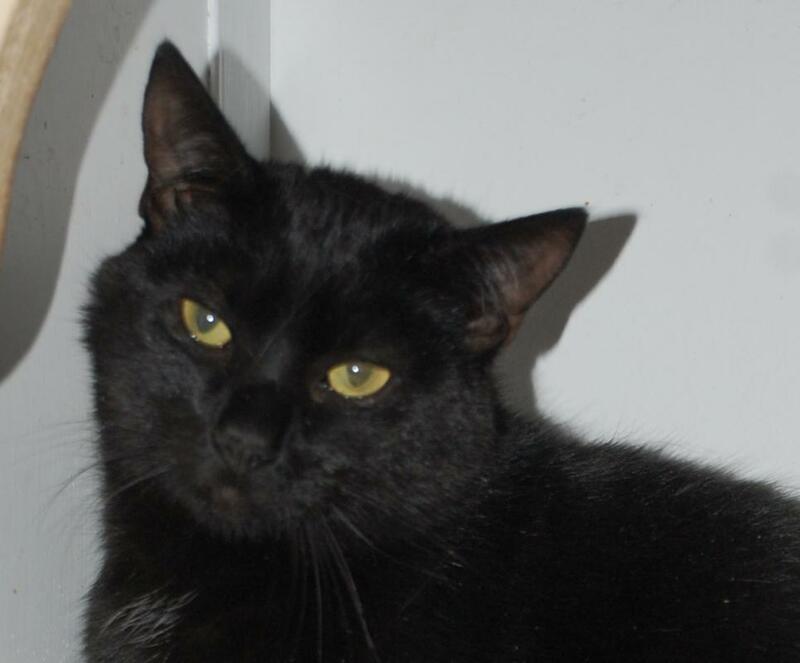 Because of his shyness and affinity for other cats, Casper should go to a home with another gentle cat or be adopted with one of his cat friends from Passion 4 Paws. He'll do best with the security of another feline friend in the home.